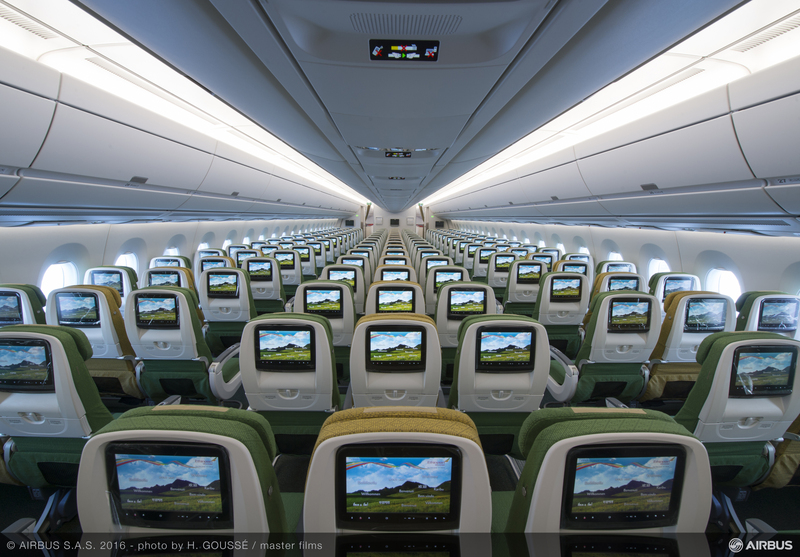 On Sunday August 14th Africa’s first and most technologically advanced aircraft, the Airbus A350 XWB, was launched on the London Heathrow – Addis Ababa route. 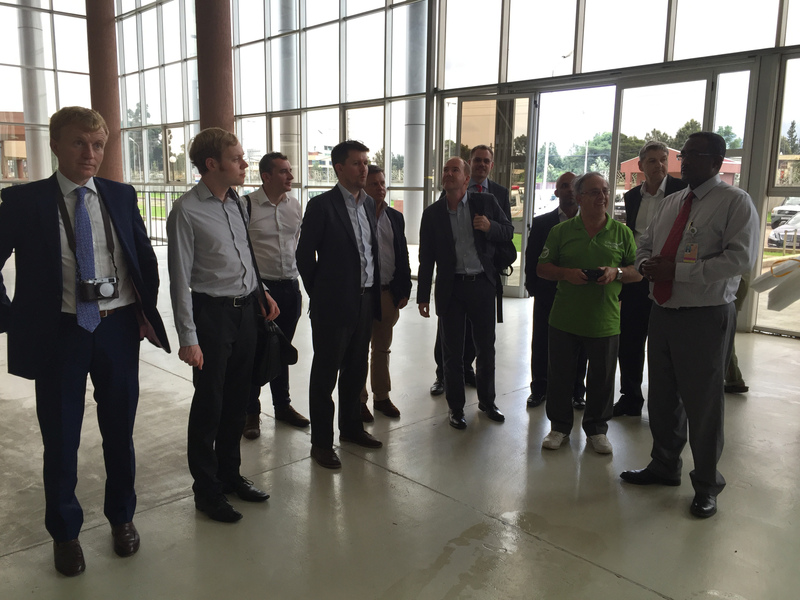 To celebrate this momentous event a press trip of top trade and aviation journalists ventured on a 48-hour London-Addis non-stop press trip. 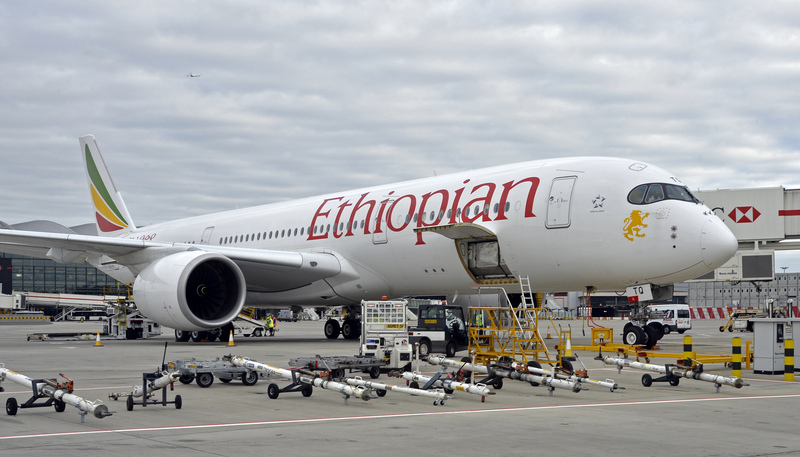 Excited at the prospect of a night flight at the front of the plane rather than the back our happy band of travelers gathered at London Heathrow Terminal 2 for our six-hour and 50 minute night flight to Addis. Unusually for mid-summer there was no queuing and we passed swiftly through the business class check-in and, as we had no check-in baggage, in no time receiving boarding passes and an invitation to the business class lounge. Here we downed welcome gin and tonics whilst being briefed on the upcoming hectic 48 hour press trip. Boarding swiftly, the economy passengers already having taken their seats, all the journalists were given a super goodie bag including a very useful multi-purpose travel adapter kit – who ever has the right plug for the right international socket? 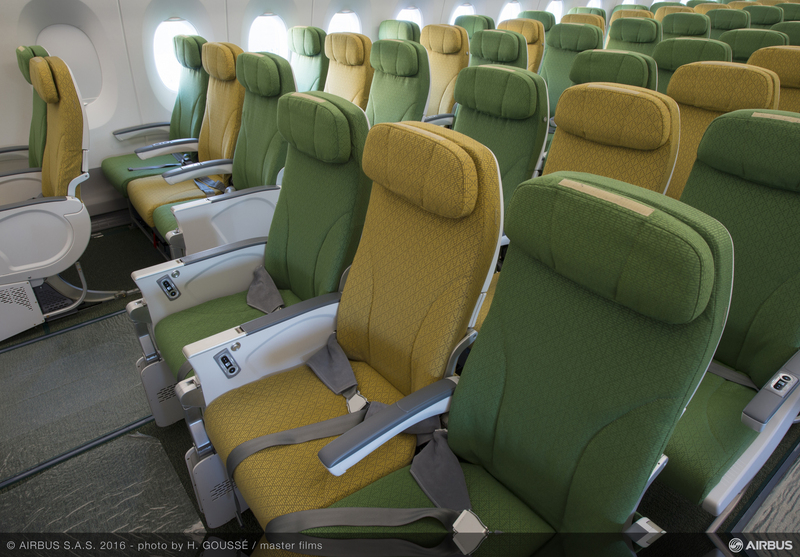 Now for the technical details – Ethiopian Airlines’ first A350 XWB (named “Simien Mountains”) has 313 seats in a 3-3-3 configuration in economy with a 32-inch seat pitch and an 18-inch width. 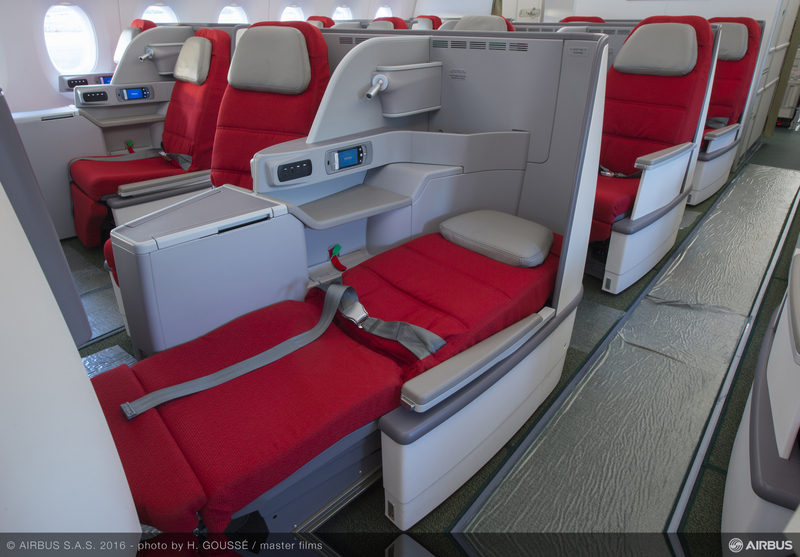 In business class, ‘Cloud 9’, there are 30 business class seats (BCE diamond seats) which convert to a 78” fully lie-flat beds in a 2-2-2 configuration. 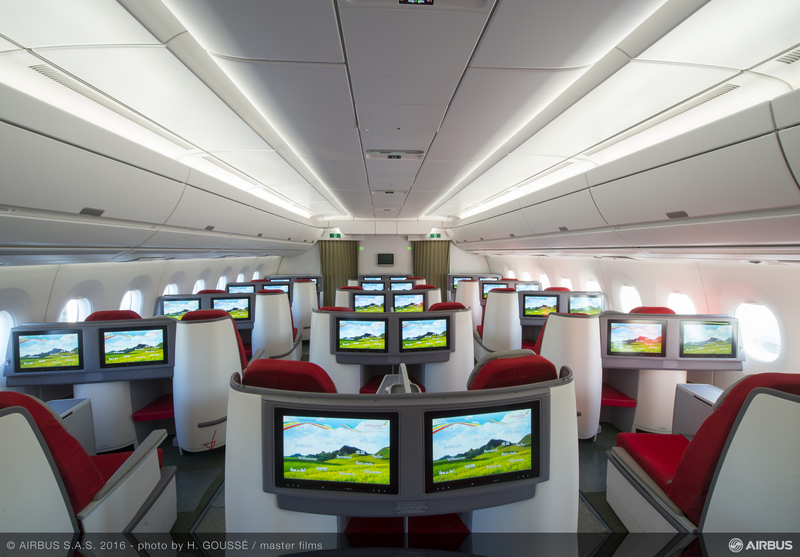 The whole flight was extremely comfortable giving everyone a really great first experience of the A350-XWB. Service was extremely friendly and can-do. 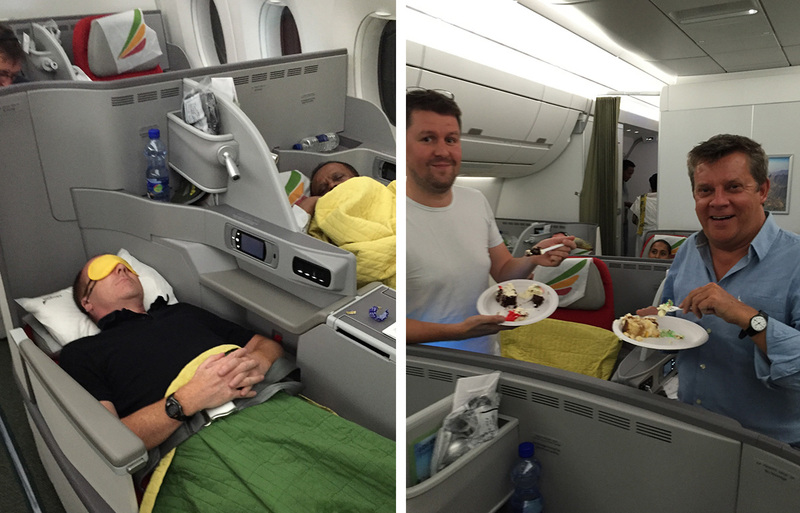 Dinner was very tasty (there are Ethiopian culinary choices too on the return flight) and then the wonderful lie-flat beds with fluffy duvets made for a very comfortable sleep for all. 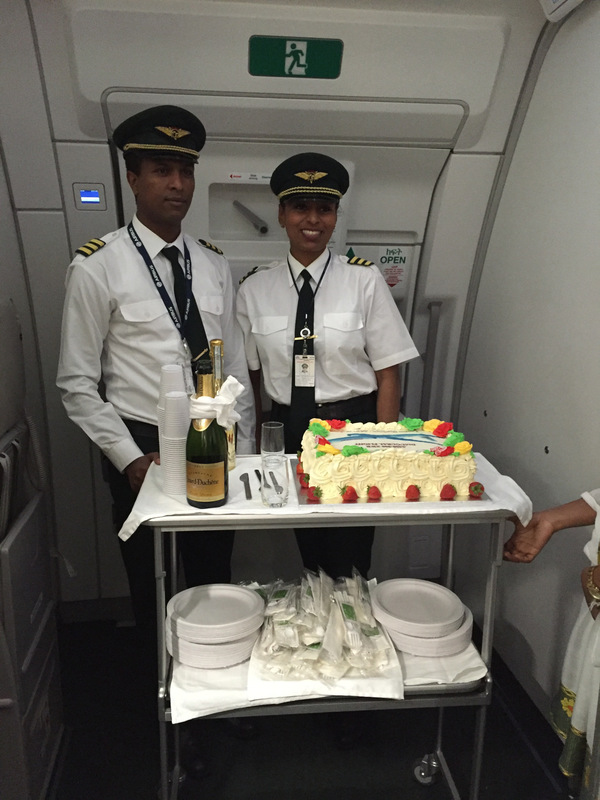 Some game journalists even woke for the inaugural flight celebratory cake and champagne at 1am – others did not! 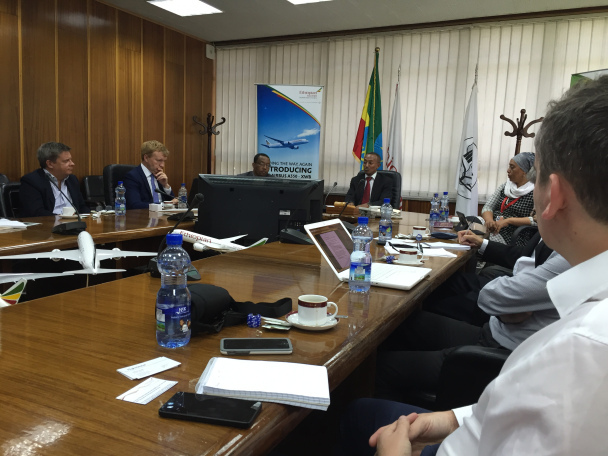 First stop was Ethiopian Airlines HQ where we were greeted by many of the Senior Management team led by MD Ethiopian International Services, Mr Esayas WoldeMariam, for a briefing on the current status of the passenger, cargo and ET Holidays services and expansion plans globally. 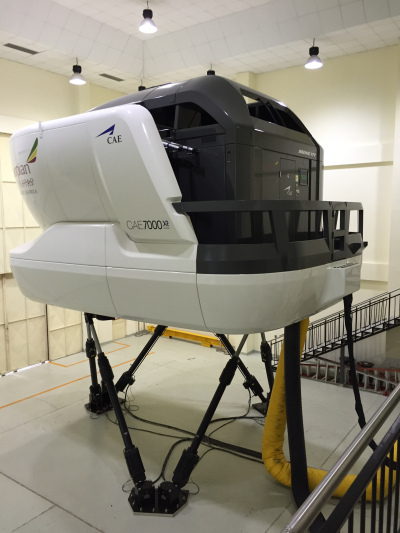 After the presentation was over we were led to the very impressive collection of high-tech space-age looking simulators for a simulated landing at LHR which everyone really enjoyed. Sadly there was not the time for us to attempt a landing ourselves or perhaps this was sensible with such highly tuned and sensitive machinery. 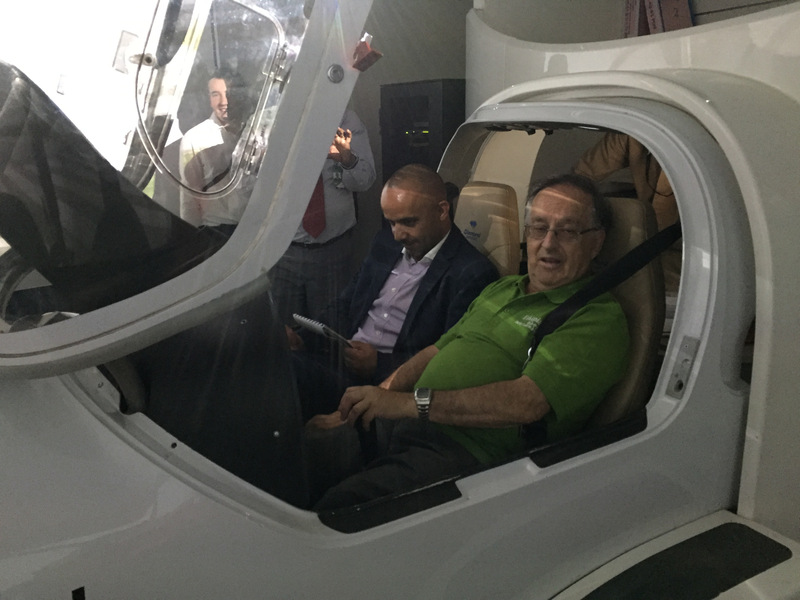 Following lunch came my personal highlight of the day in a tour of the ET aviation academy, an amazing light and spacious facility housing many buzzing cadets all busily training in tens of classrooms or on the many sections of aircraft used for teaching cabin service. The journalists particularly enjoyed their own chance to try out the evacuation slide with even the very game 74-year-old Editor in Chief of Business Travel News eagerly taking the plunge. 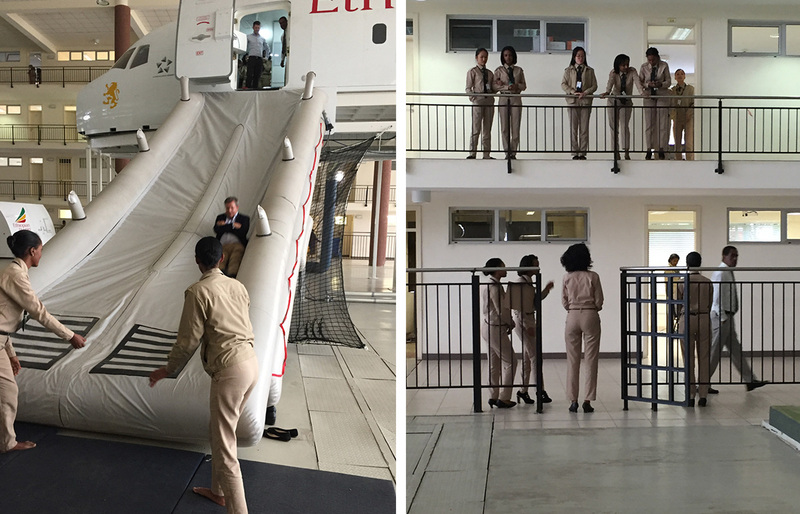 Sadly we were not permitted to try the same on the landing on water evacuation slide – we’d forgotten our costumes so saving that experience for next time! 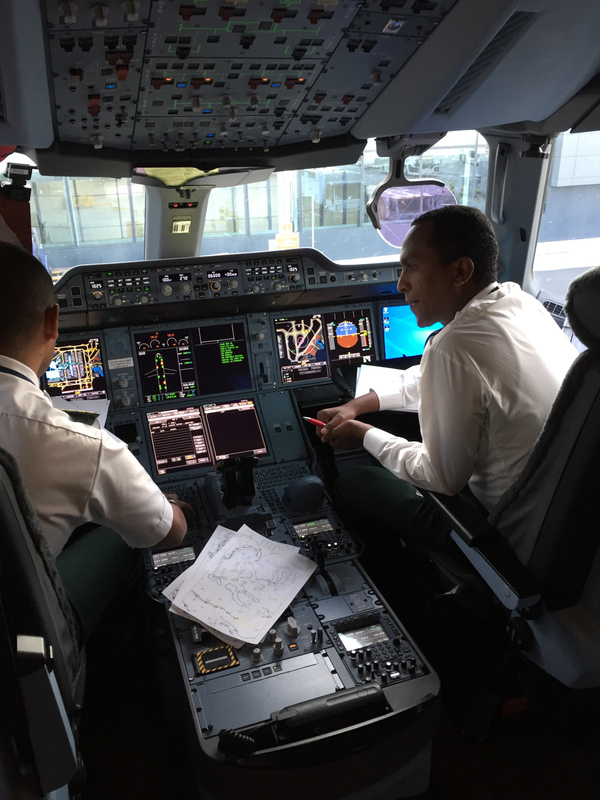 On visiting the pilot training school we were all very impressed to learn that ET trains many hundreds of male and female pilots not only from Ethiopia but from all over Africa and even Europe who go on to fly on many different airlines beyond Ethiopian. 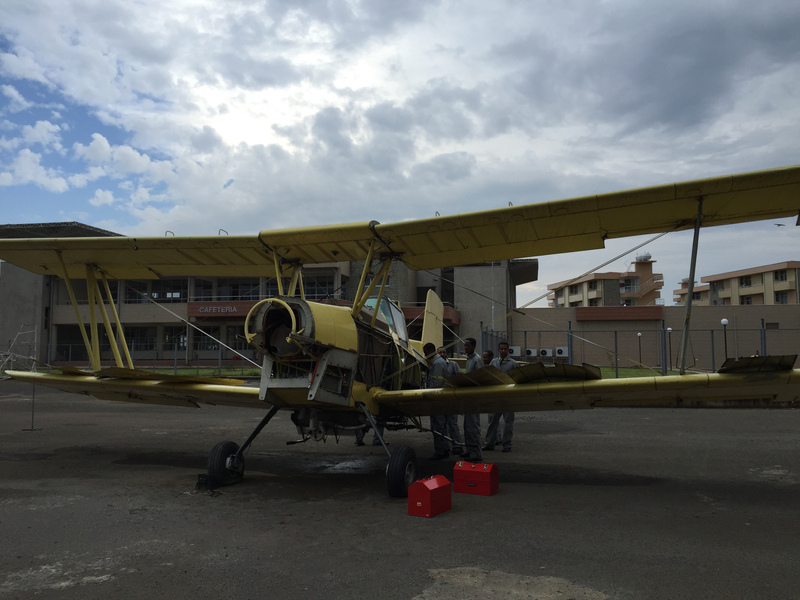 A visit to the maintenance, repair and operations (MRO) facility enabled several of the journalists to regale us with tales of their own early piloting experiences and to unleash boyhood tinkering impulses. By this time, exhausted and seriously impressed we returned to the hotel for a rest before the evening’s festivities. We did manage to squeeze in an impromptu city sightseeing tour en-route enjoying views of Meskel Square, the National Museum and Palace as well as scenes of bustling Ethiopian daily life. 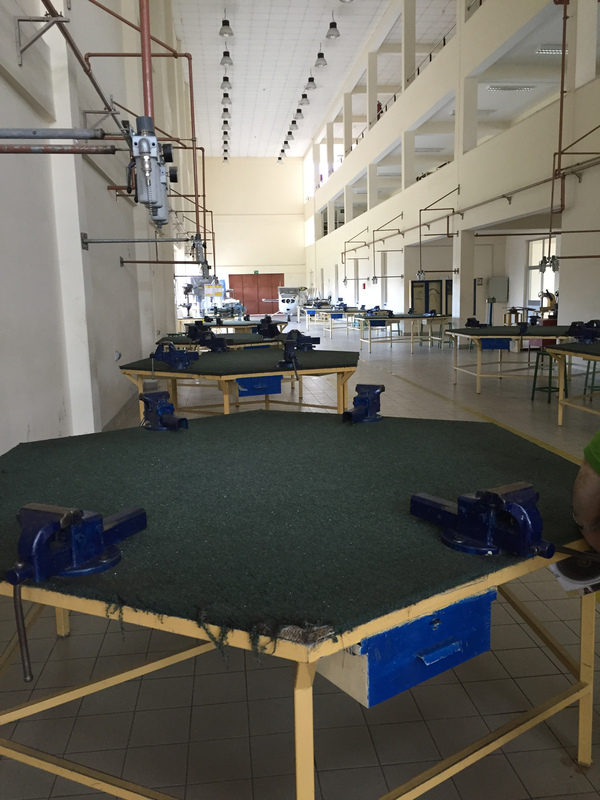 It had been easy to forget in the high-tech academy that we were even in Africa. 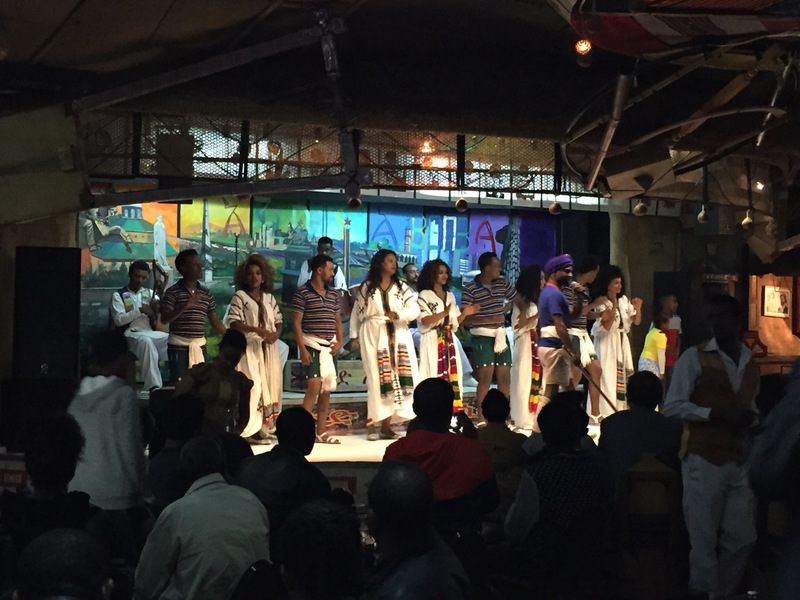 An evening of cultural dinner and traditional dance at Yod Abyssinia cultural restaurant was a welcome conclusion to the day affording another glimpse into traditional Ethiopian life. 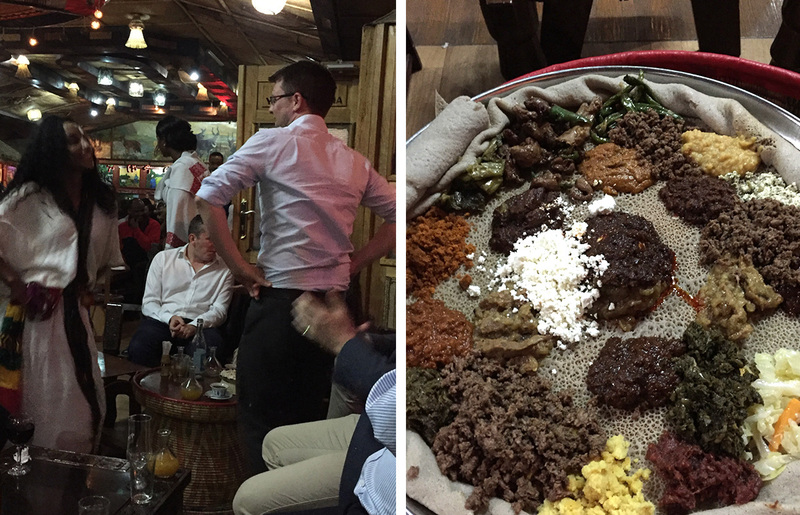 Journalists happily dived into trays of the national dish –injera or Ethiopian flatbread surrounded by delicious spicy sauces, meats and vegetables – the mainstay of Ethiopian cuisine. A few were even persuaded to end the night with a little traditional shoulder dancing to shake it all down. On Tuesday morning we rose early to get to the airport, check-in and experience the airport facility tour before departure for our day-time, equally comfortable, flight home – a happy, impressed and weary posse.